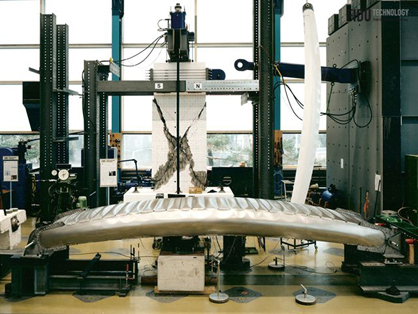 Inflated sheet steel units – at first sight it looks like a fanciful novelty but in fact this is advanced technology which has been developed at the CAAD (Computer Aided Architectural Design) department of the ETH in Zurich and has already been successfully implemented. 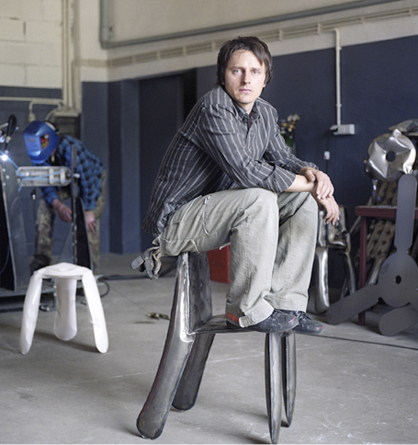 The architect Oskar Zieta, who has been working with this professorship for eight years, has now designed a series of inflated sheet steel furniture which not only proves that the technology is ready for series production but also demonstrates the striking look of these almost sculptural objects. 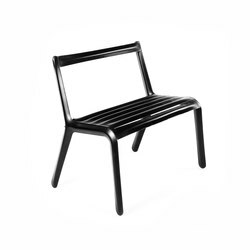 Zieta produces the Plopp stool in his home country Poland and markets it through the Danish manufacturer HAY. 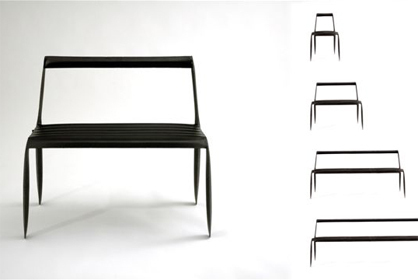 We met him in Berlin, where he was awarded the YDMI (Young Designers Meet Industry) Prize. You teach in the CAAD department under Prof. Hovestadt. What exactly does your research involve? In general our research concerns digital processes which are developed on the computer. It's our aim to 'print out' the results of our digital studies on computer-controlled machinery, i.e. laser cutting, CNC milling etc. My task was clear eight years ago, when I started work at this institute. My job was to apply computer-controlled machines in the field of lightweight construction and design, and to find out what processes are the most flexible. The more flexible the production chain is, the more extensive production can be. It's a matter of production processes which enable us to achieve a result as simply as possible and with the minimum number of production stages and resources. You then finally developed your own production technology. Yes, it's called FIDU. 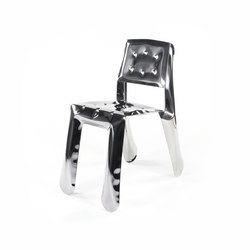 We can control the three-dimensional form by the two-dimensional shape of the sheet steel. The products that use this cut and welded steel can then be inflated anywhere, which makes this technology very flexible. All you need is the template and a welding robot. Before they are inflated 100 of my stools will fit on a pallet, although if they were all blown up they would fill up a container. Highly flexible but at the same time lacking in precision? In the two-dimensional area we can be very precise. It's only when we become three-dimensional that we lose precision. But we're working on perfecting the process and are already in a position to make extensive calculations. We have also discovered the existence of certain rules, which have already been patented. What sort of rules, for example? Interrelationships between geometry, material, material thickness, welding and deformation technology (in other words 'inflation'). 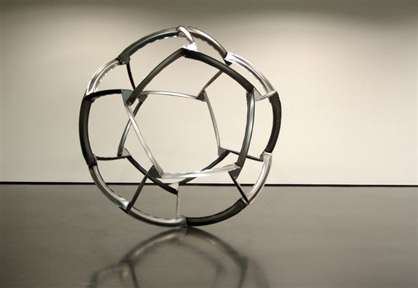 The objects can be inflated with water, oil or air, and in theory each fold can be precisely analysed and controlled. 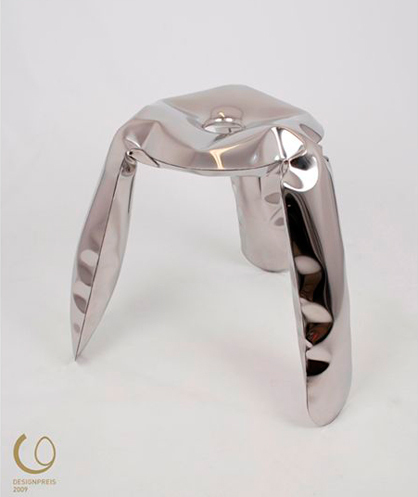 Which did not happen in the case of the fairly rough stool, did it? Seen from the outside perhaps not, but the stool is more complex than it looks. It has always been our idea to move from 2D to 3D and not to 2 1/2D. In other words the legs of the stool were not bent downwards in a separate operational stage – instead they were intended to bend into the right position during the inflation process. We succeeded in this after long calculations and very precise cutting. Plopp gets pretty close to magic. In spite of all this precision you still allow a certain amount of variance in shape. 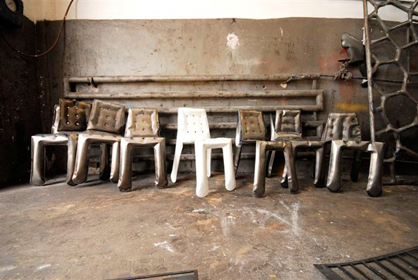 It isn't the case that all the stools are folded in exactly the same way, is it? No, not at all. And this is deliberate. Sheet steel is an omnipresent material. We associate it with cars and trains – all these objects are formed from sheet steel shaped with extreme precision and moulded with a force of 100 tonnes. Young designers and architects can't afford such machine tools, which is what motivated us to develop the FIDU technology. We completely transformed the way material is processed. In architecture there is a great need for the facility of designing free forms – take blob architecture, for example. The engineers who have the job of constructing these organic forms designed by architects are always looking for the technology which will make this possible and which will give a completely new meaning to the term 'standard'. 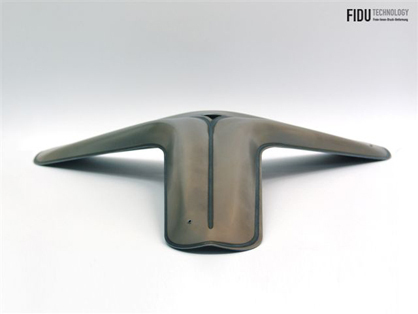 FIDU technology is highly economical when it comes to materials and resources, and it produces very robust objects. Yes, this is why I am already working with my colleagues Philipp Dohmen and Uwe Teusch on applications for architecture. With the FIDU football we have demonstrated that you can apply FIDU elements in flexible supporting structures. And in such cases the highest levels of precision are of course required. In the case of the football we had to put together 120 sections, and if only one section doesn't fit you can forget the whole thing. But they all fitted. Is sustainability also a component in your work? The fact that our technology is sustainable is something that happened intuitively and is also part of the concept. Simple transport routes are very important to certain areas of architecture – just think of tunnel construction or crisis areas. This technology has now been successfully tested in a number of projects. What are the next steps? We are already receiving enquiries about concrete projects. We have now reached the point at which somebody has to take responsibility. A supporting structure, for example, means massive responsibility. Of course I wouldn't start off with a bridge right away (laughs), but a two-storey pavilion or facade sections are already entirely possible. In future we want above all to design objects which are inflated but don't look as if they have been inflated – in other words by designing and cutting the templates so exactly that the distortion can be controlled with precision. The design scene is new territory for you. Are you going to continue to work as a designer? The great thing about design is that ideas and technology can be implemented faster, although my views have changed to some extent. My previous theory was that architecture is a poem without an end. And the way I thought of design was as a sentence with a full stop – in other words it can be completed. I now know that design is also an endless process. Believe it not, we spent two years working on Plopp. But in spite of this architecture is much longer drawn out. We are still building today in the same way we did 200 years ago! There could potentially be massive savings in the production process – and that's exactly what we want to achieve with our technology.